U.S. Embassy spokesman David Gainer thanked police for their “rapid response” and said no injuries had been reported. Istanbul: In a major scare, shots were fired at a security booth outside the U.S. Embassy in Turkey’s capital on Monday, officials said, adding there were no injuries. 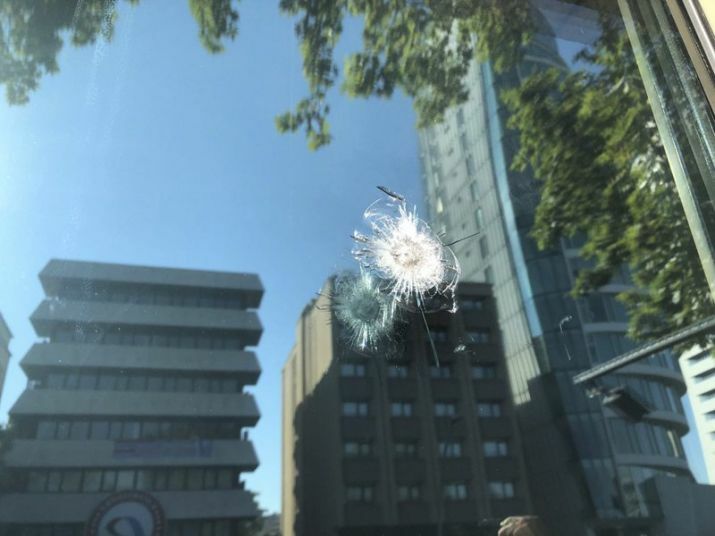 Accordint to Private Ihlas news agency, four to five rounds were fired from a moving white car and targeted the booth outside Gate 6 at the embassy in Ankara. Police were searching for the car. The U.S. mission is closed this week as Turkey celebrates the Muslim holiday of Eid al-Adha. Ties between Ankara and Washington have been strained over the case of an imprisoned American pastor, leading the U.S. to impose sanctions, and increased tariffs that sent the Turkish lira tumbling last week.